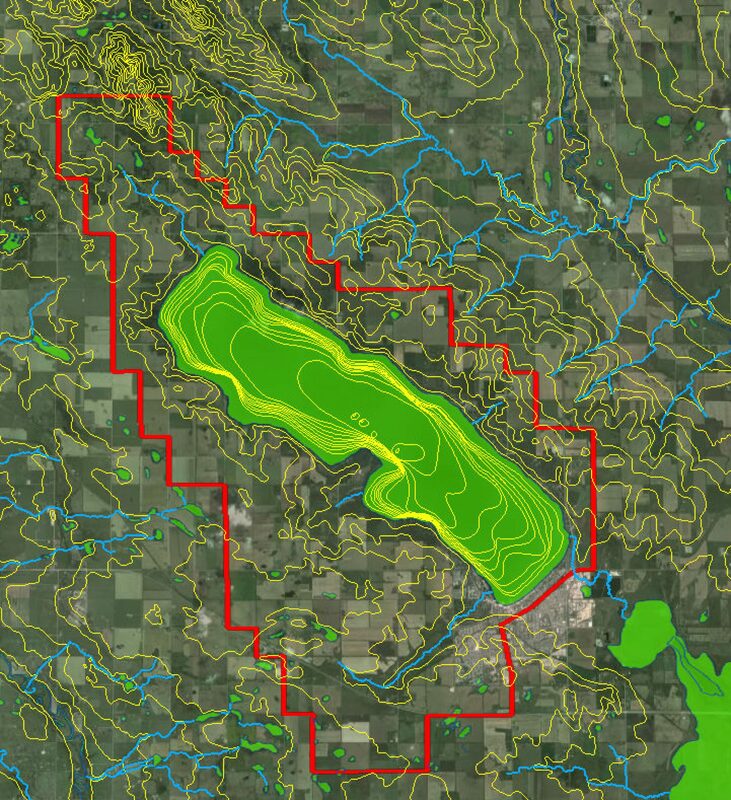 Alberta Environment and Parks archives historical water quality data for Sylvan Lake. Click on this link for a pdf file of the composition of the lake water downloaded in October 2017. Click here for a graph in pdf format of all the lake composition data. 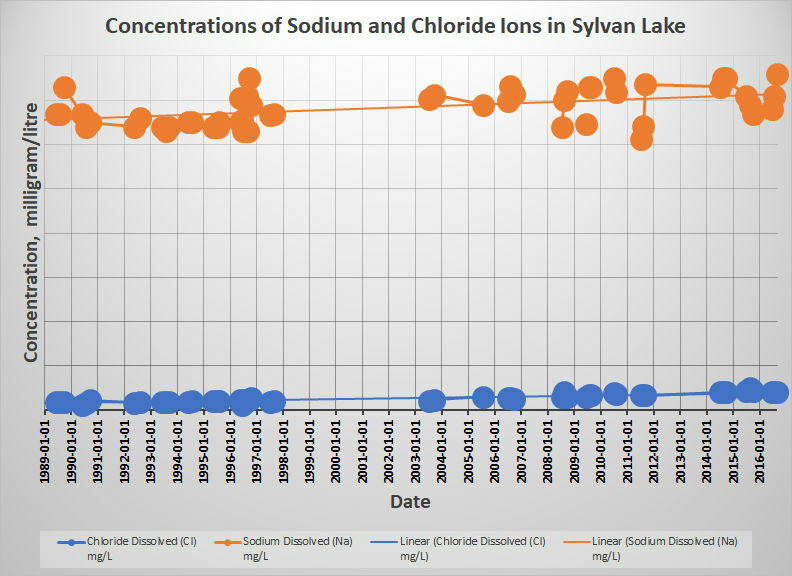 The N-P-K plant nutrient, chlorophyll, and Secchi disk data track the natural variability of Sylvan Lake. The effect of the watershed human population on lake water quality is demonstrated by the increasing concentrations of some ions that are introduced from diffuse contaminant sources such a winter road salting. 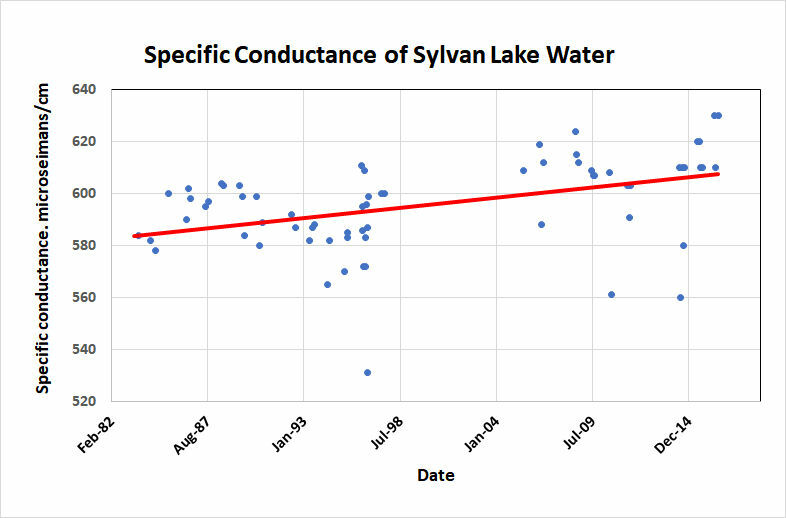 As expected, the lab-measured specific conductance has increased slowly as the salinity of the lake has risen. Sampling campaigns completed during the last two decades have been facilitated by Sylvan Lake Watershed Stewardship Society volunteers in partnership with the Alberta Lake Management Society field technicians. Partial funding in recent years was provided by the Sylvan Lake Management Committee, the RDRWA and Alberta Environment and Parks. The total cost of a May-to-October 5-day campaign is close to $10,000. Water quality monitoring is not free.